- Cotto LUCCA Texture: Made with clays that give a range of colors from Orange to Red and Ochre to some occasional Burnt Brown. Medium size pebbles are also part of this unique clay mixture, with colors from Cream and Red to Light and Dark Grey. It is a honed like texture, inspired in the "levigato" style, flat and smooth to the touch, while keeping a good slip resistance. Small pinholes are mixed with some occasional larger holes. Edges are uneven and slightly chipped. - Cotto PRATO Texture: Made with clays that give a range of colors from Light and Dark Red to some occasional Light Ocher. Small size pebbles are also part of this unique clay mixture, with colors from White and Red to Light and Dark Brown. Texture is a honed like texture, inspired in the "levigato" style, flat and smooth to the touch, while keeping a good slip resistance. Small pinholes are mixed with some occasional larger hole. Edges are straight, a little uneven and very slightly chipped. 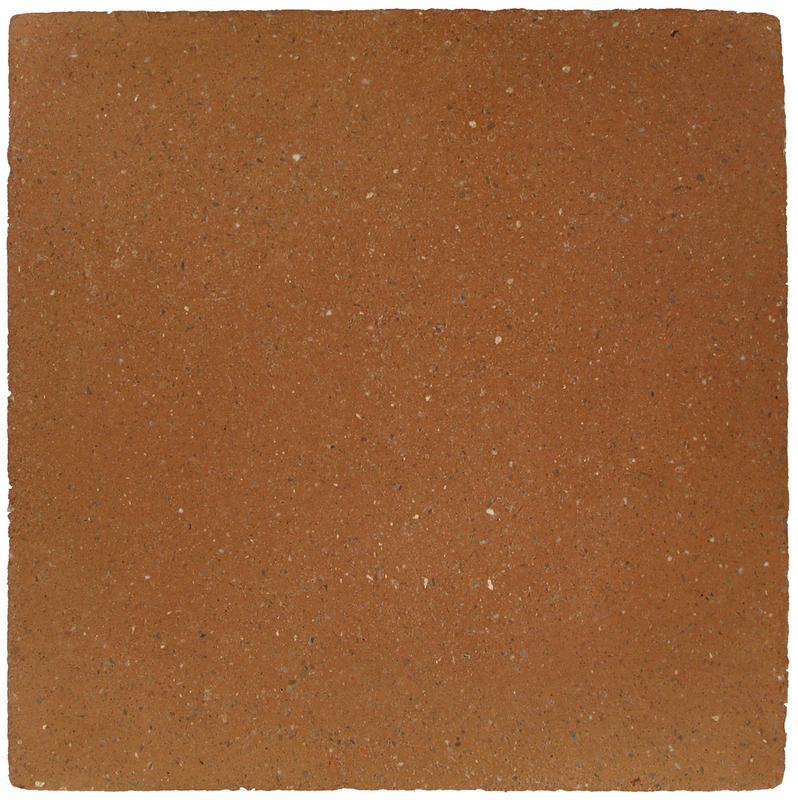 OLD PATINA NATURAL Finish: Our exclusive Old Patina Natural Finish applied to the Toscana Terracotta, provides the best possible protection from moisture and stains, while maintaining a natural and worn out look to the tile surface. It is intended to combine with Toscana NATURAL Marble ONLY. OLD PATINA ANTIQUE Finish: Our exclusive Old Patina Antique Finish applied to the Toscana Terracotta, provides the best possible protection from moisture and stains, with a darker look stained finish, showing the natural range of antique colors. It is intended to combine with Toscana ANTIQUE Marble ONLY.